One wonders then what Danforth would make of the New United Villages of Florina, an organisation that purports to unite associations representing the villages of Florina but in effect does so much more. Yiannis Papadimitriou, the president of the association, explains that the New United Villages exist as a form of self-protection against the extremes of the proponents of ideologies over the possession of national identities, histories and cultures, who regard these as the mutually exclusive property one nation or the other. One gains a hint as to what that ethnic identity is as soon as soon as one walks through the door of the reception during the New United Villages of Florina’s recent multicultural festival. 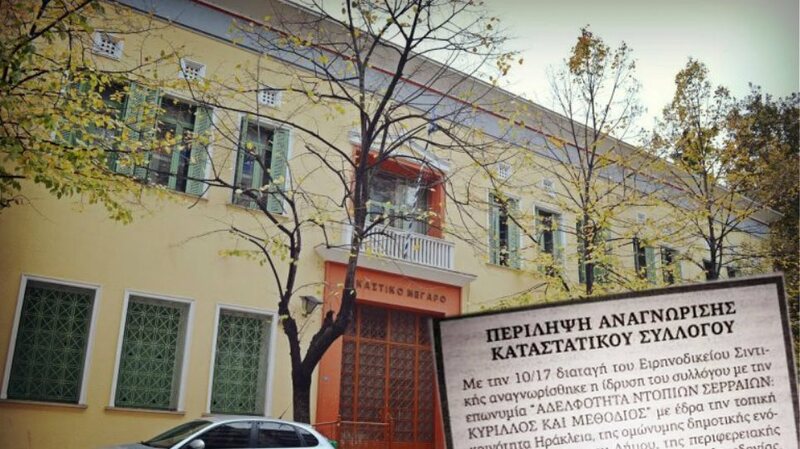 The first thing that can be discerned is the labarum of the Association, bearing the icon of Panayia Theotokos. She is, as we find out when everyone stands up to chant her hymn, the Υπέρμαχος Στρατηγός, the protector of all. Slowly, solemnly, a column of young children, dressed in traditional regional costumes march into the hall, bearing before them, another icon of the Panayia and holding aloft, Greek and Australian flags. The attendees, all half a thousand of them, are of surprisingly (in an age when mass attendance at dances and other such events, is not only passé for the first generation, let alone the second, but becoming nothing more than just a dim memory) diverse ages, underlying the ‘family’ or ‘village’ feel of cohesion and harmony. The children march proudly past the distinguished guests: the Honourable Harry Jenkins, Speaker of the House of Representatives, the Honourable Maria Vamvakinou, Federal Member for Calwell, Jenny Mikakos, State Member for Northern Metropolitan and Lily D’ Ambrosio, State Member for Mill Park, Former Mayor of Whittlesea, Cnr Chris Pavlidis and Whittlesea Councillor Maria Malios. They reach the dance floor and stand to attention as the Australian national anthem is played. As soon as its final strains die down, a murmur of anticipation permeates the room. Then, an immense crescendo and suddenly, 500 voices are united in song as they intone the immortal words of Greek national poet Dionysios Solomos: « Σε γνωρίζω…» The tremulous emotion that tugs at the heartstrings of all those present is palpable. For these Florinians, singing the Greek national anthem truly is an act of gnosis. It is a firm declaration of who they perceive themselves to be. At the end of the dance floor, a video projector beams images exhibiting the Greek presence in Macedonia. It is a diachronic display, commencing with the ancient past, following through to Byzantium, the Ottoman occupation and contemporary times. Its viewers nod their heads appreciatively, as if discerning in the images of Alexander the Great, Basil the Bulgar Slayer, Saints Cyril and Methodius and of course, the Slavonic-speaking Captain Kottas, not just a historical figure dredged up from the depths of the past, but instead, their immediate kinfolk. 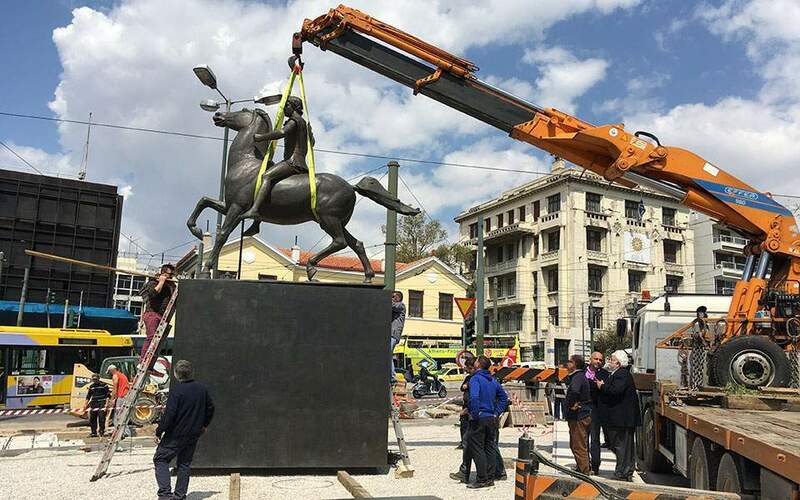 Around me, I can hear snatches of the same Slavonic idiom as that uttered by Captain Kottas when he was led away by the Bulgarians for execution, proclaiming: “Long live Greece!” Suddenly, the conversation is broken by a loud cheer and whoops of delight. The young children are dancing traditional Florinian dances and their elated grandparents and parents are unable to conceal their rapture at witnessing their progeny take exactly the same steps that they have taken, and their ancestors too, in a long chain of dance, as twisted and tortuous as the path taken by the archetypal musician himself, Orpheus, to the underworld to rescue his Euridice, but still unbroken. One of the beaming grandparents, not being able to contain himself any longer, rushes on to the dance-floor, holding a vast Greek flag upon a lofty flag-pole twice his size. Immediately, the floor is covered in dancers, weaving their way through the age-old steps, all vying for the position of leader of the dance so that they in turn, may also bear the Greek flag. The revellers are so excited that hey find it hard to settle down to listen to the speeches. “We are here today to celebrate the achievements and continuous presence of Macedonians here in Australia. We, the Macedonians of the New United Villages of Florina are immensely proud of our Greek heritage. We are also immensely proud of the fact that we have been able to transplant them here, in Victoria, home to so many nations. Truly, the Greek and Australian people share many values. Some of these values, love of freedom, democracy, tolerance, a love of the arts and sport are direct gifts from ancient Greek civilization. 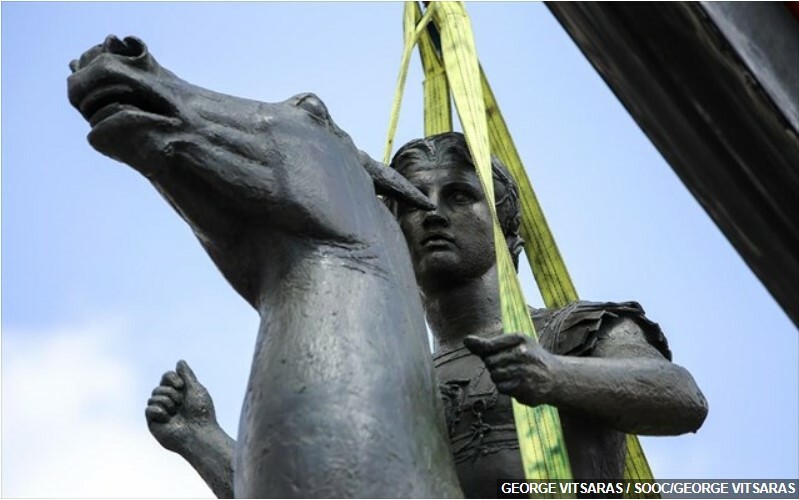 Let us not forget that it was our great King, Alexander the Great who spread Greek civilization throughout the East. 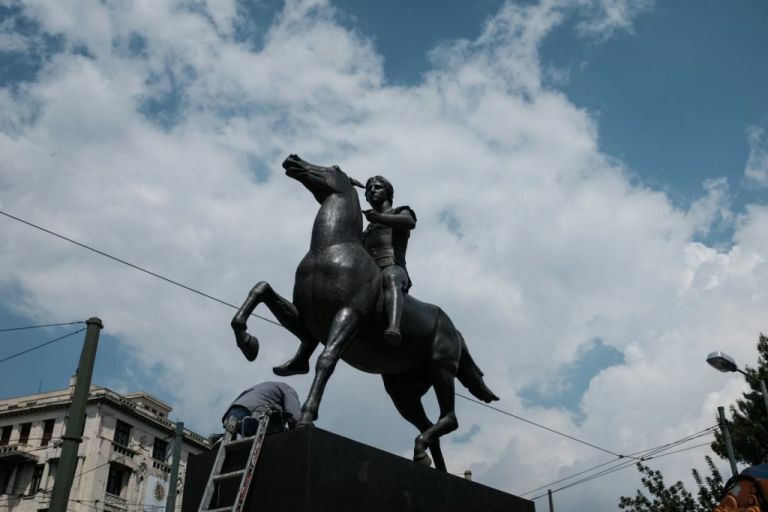 We, his descendants, having left our native Macedonia, are continuing in his footsteps, maintaining the Greek culture of Macedonia here today. Wherever you see us and the Greek flag flying, you know that there lies a small pocket of Macedonia, the northernmost Greek province, home to many nations but historically and culturally, an inextricable part of the Greek world. We welcome you with open arms and hope you celebrate the core values of tolerance, cultural diversity and mutliculturalism with us.” As the song «Μακεδονία Ξακουστή» penetrates our eardrums and the ecstatic revellers rush to the dance-floor once more, and Father Stavros, an Epirote, and I, muse over the relative merits of Macedonian as compared to Epirotic pita, the Greek flag once again passes from hand to hand, circling the room. Complexity in the process of identity formation may characterise many people who are members of ethnic and diaspora communities in today’s transnational world. For the members of the New United Villages of Florina however, it is resolved simply, in the form of a blue flag with a large white cross emblazoned upon it, upon a tall and proud flagpole. Hopefully this clears things up with the Skopijans. 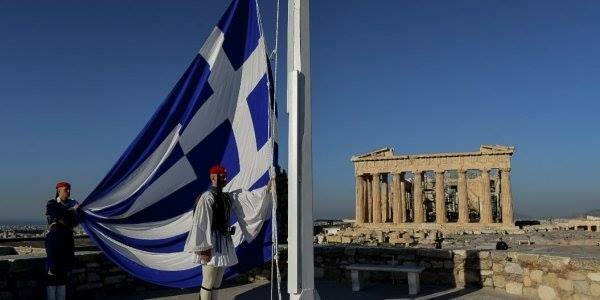 We speak slavic first and have different but similar culture but we are GREEK, FOREVER GREEK!!!! 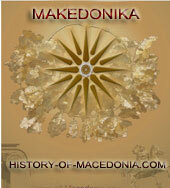 We are the entopoi Makedones, Greek Macedonian!